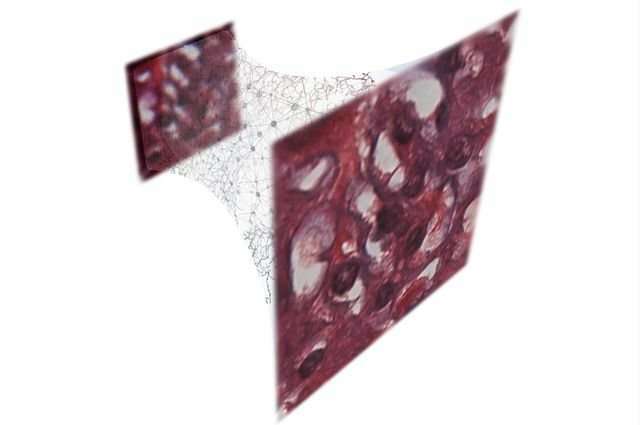 For one study, published in Light: Science and Applications, the researchers produced holograms of Pap smears, which are used to screen for cervical cancer, and blood samples, as well as breast tissue samples. In each case, the neural network learned to extract and separate the features of the true image of the object from undesired light interference and from other physical byproducts of the image reconstruction process. "These results are broadly applicable to any phase recovery and holographic imaging problem, and this deep-learning–based framework opens up myriad opportunities to design fundamentally new coherent imaging systems, spanning different parts of the electromagnetic spectrum, including visible wavelengths and even X-rays," said Ozcan, who also is an HHMI Professor at the Howard Hughes Medical Institute. "This is an exciting achievement since traditional physics-based hologram reconstruction methods have been replaced by a deep-learning–based computational approach," Rivenson said. More information: Ozcan's research is supported by the National Science Foundation–funded Precise Advanced Technologies and Health Systems for Underserved Populations and by the NSF, as well as the Army Research Office, the National Institutes of Health, the Howard Hughes Medical Institute, the Vodafone Americas Foundation and the Mary Kay Foundation.